Curious Kids Toys’ new location in Ballston Quarter. 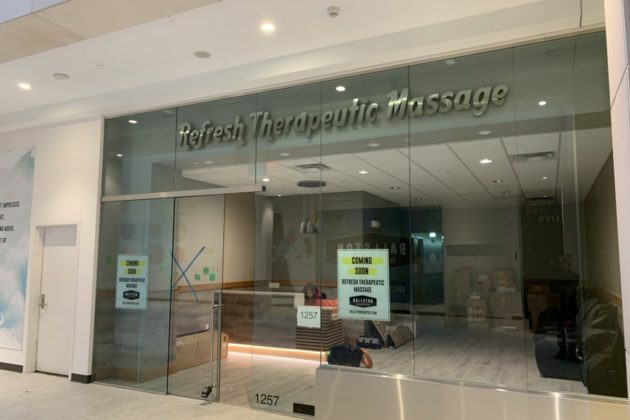 Refresh Therapeutic Massage’s new location in Ballston Quarter. A pair of stores that once called the old Ballston Common mall home will soon re-open in the development’s new reincarnation, Ballston Quarter. 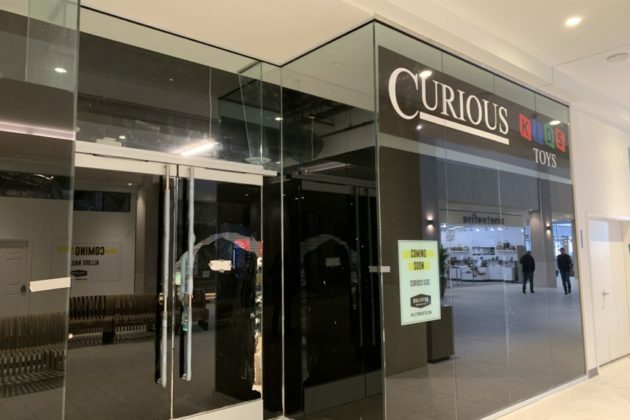 Curious Kids Toys and Refresh Therapeutic Massage have both posted signs announcing plans to return to storefronts on the development’s ground floor. Both stores were forced to close when Ballston Common, located at 4238 Wilson Blvd, shut down in 2016. Developer Forest City has since been hard at work refreshing the mall, luring a host of new restaurants and businesses to the development. But some shops from the old mall are gradually returning to the location — Chick-fil-A just opened in a brand new space a few weeks back, after the restaurant was long one of the most popular dining options in Ballston Common. Curious Kids offers a selection of “board games, dolls, trucks, electronic games and more,” according to Ballston Quarter’s website. The store also operates a location in the Fashion Centre at Pentagon City mall. Refresh will “help you de-stress, unwind, or work out a tight spot,” the development’s website says. The new location appears to be the only one in Arlington. A variety of shops in Ballston Quarter have begun opening to customers over the last few months, though much of the development remains a work in progress. A newly revamped food court still seems set to open sometime next month, according to signs posted around the mall.